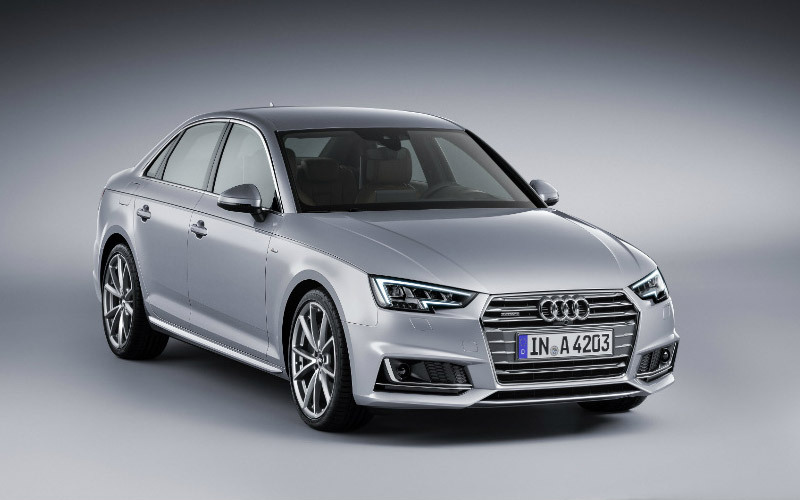 Audi A4 30 TFSI Variant: The New Audi A4 Petrol Variant will set to release in Indian Market in the month of August 2016. It has new 1.4-litre TFSI motor. In the recent Auto Expo in Delhi, the Audi India showcased the model of A4 30. The price of this model is likely in the range of 30 lakh to 42 lakh. Scroll down and read the features of Audi A4 30 TFSI Variant. This New Audi A4 30 was designed with the large hexagonal grill front end and also concentrated on the Headlights along with the LED daytime running. By using new MLB Evo platform, the manufacturer reduced the 120kg of weight than compare with the series of Audi A4. Based on the design Structure and size, it is slightly grown. The A4 30 has the length of 4701mm, 1826mm of width and 1427mm of height. It consists of Alloy made weels, full TFT touchscreen module cluster, Virtual cockpit. This New A4 30 TFSI Variant has the capacity of 1.4-liter and 2.0-litre TDI diesel engine. The engine churns out a maximum of 148bhp and develops a peak torque of 250Nm. This Audi A4 30 has the capable of churning out 174bhp and 380Nm of peak torque. And also, the new same 8-speed automatic transmission will launch in India as first. Also, as per the source, the company will release the diesel version of Models in this end of 2016. At the same time, some other leading Auto Manufacturer will launch their Models in India such as Mercedes-Benz C-Class, BMW 3-Series, and Jaguar XE sedan. So, it is tough competition here again.